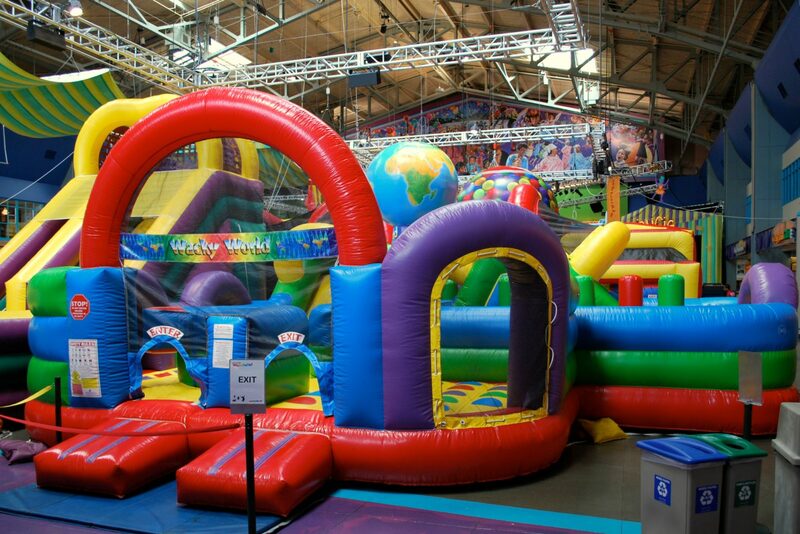 This wonderfully wacky inflatable wonderland has it all. With a fun Twister style bounce area, slide, and multiple obstacle course routes all in one inflatable, this rental item has a lot to offer. This inflatable is built durable to withstand outdoor and indoor venues so wherever you wish to host this wacky inflatable our team can delivery, set-up, safety check, and tear down, for any venue for any occasion. Looking for more inflatables to add to your carnival, outdoor event, or school fundraiser? Check out the inflatable selection of our rental catalog for every kind of inflatable you can think of. 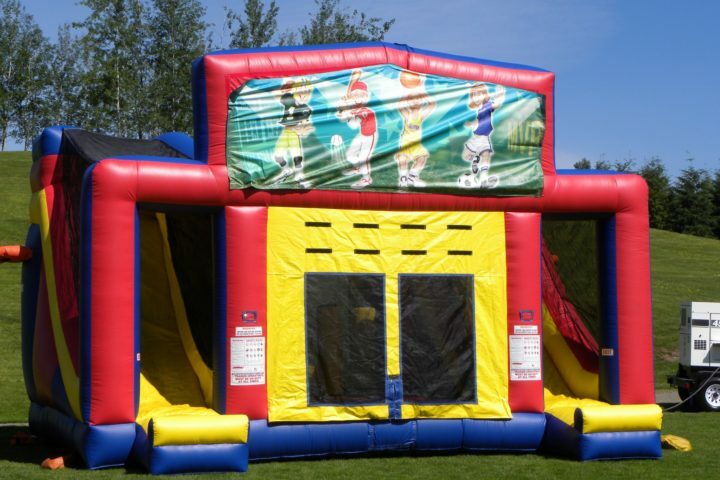 With our collection ranging from inflatable bouncers, inflatable combo units, inflatable interactive units, inflatable kiddie units, inflatable obstacle courses, inflatable slides, inflatable water units, and inflatable sports games there and endless ways to enjoy the classic fun of inflatables at your next event. 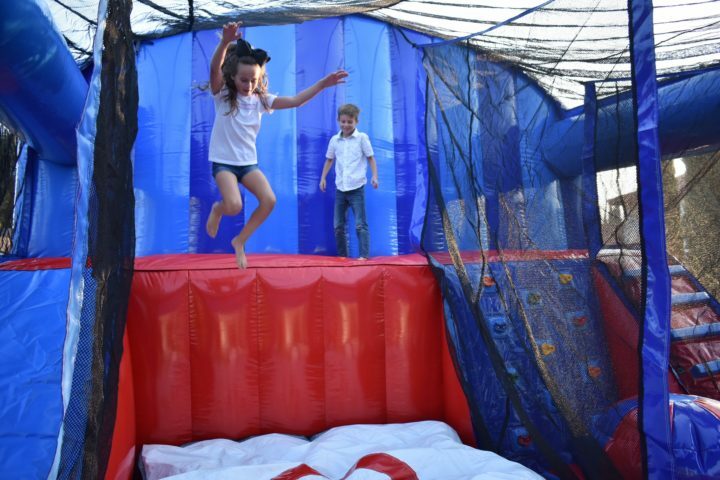 This Inflatable has it all to keep the little ones entertained for hours, with climbing structures, a slide, a bounce area, a Free-Fall area, a mini basketball area, and an inflatable climbing wall, all in one!